The gel texture helps to deeply condition hair without the weighing down hair. Hair is shiny, smooth, and easier to detangle. 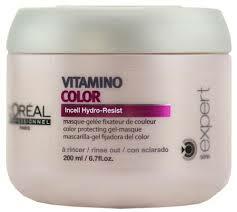 Use following Vitamino Color A•OX Shampoo to help prolong color radiance. Distribute evenly throughout shampooed hair.